Back in stock! 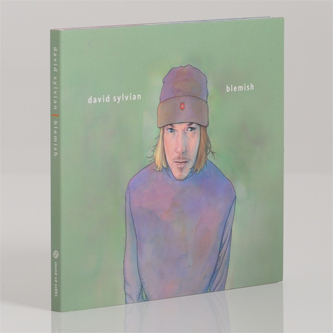 David Sylvian's remarkable "Blemish" album was released at the tail end of 2003 under a hail of critical acclaim that's been resonating ever since. Featuring guitar and compositional contributions from the legendary Derek Bailey on three of the tracks, plus a much-discussed closing piece arranged and augmented electronically by Christian Fennesz, "Blemish" is a stark, haunting, genre-defying album that revolves nervously around Sylvian's instantly recognisable vocalising. It's rare to come across minimal work that uses voice so centrally, yet "Blemish" manages to imbue proceedings with a kind of haunting isolation that you can't quite pin down - moving, beautiful and jarring at one and the same time. A highly recommended listen to anyone not familiar with this mesmerising album, a standout piece from an always captivating artist.